The release of the album ‘Kiss me Twice’ marks a special moment in my collaboration with singersongwriter Pedro De Bruyckere. 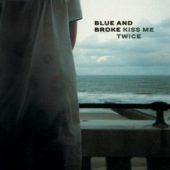 This album compiles most of my arrangements for this wonderful band called ‘Blue and Broke’. It’s also a very personal project since some of the older songs represented here were actually my very first steps into arranging and recording strings for an artist.